In this tutorial, we are going have a look at the steps required to build a upload our CentOS-based Instance-store-backed EMI to Eucalyptus. To upload the image, follow these simple steps once you have created your custom EMI. 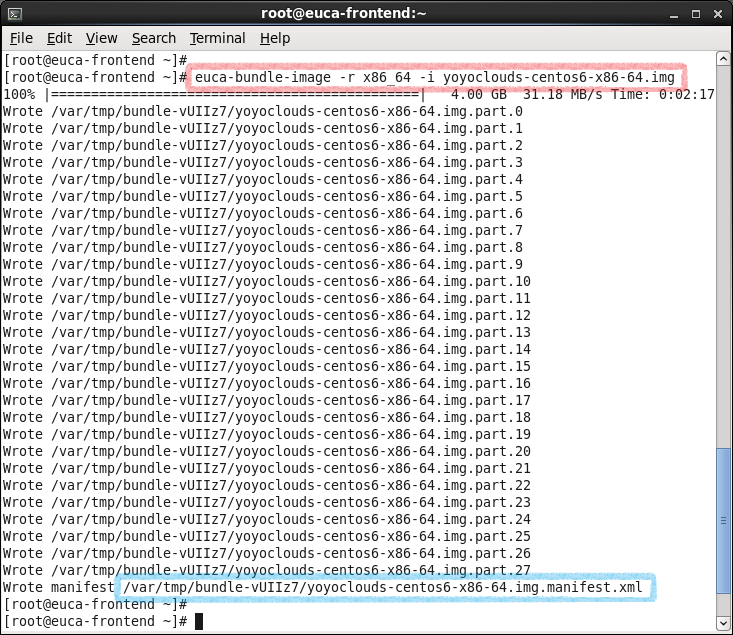 To bundle an image, we use "euca-bundle-image"
The above command packages the kernel image and generates a manifest.xml file under /tmp directory. 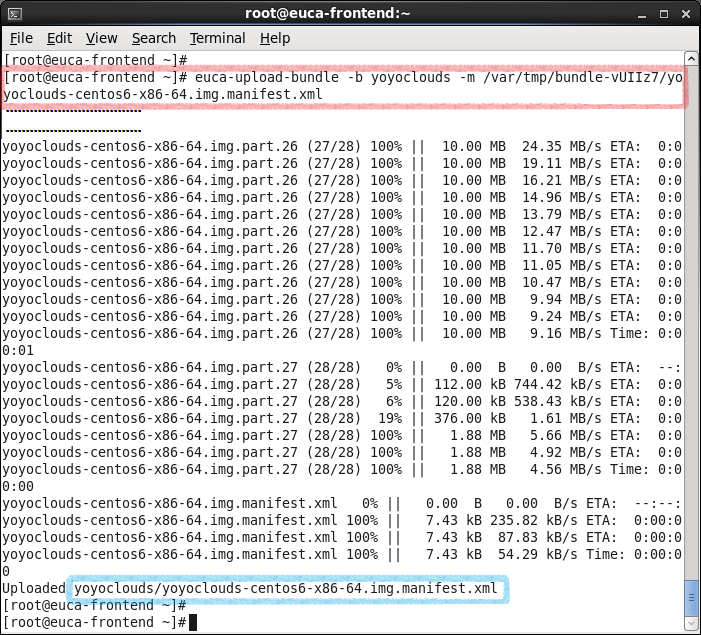 We will pass the full path to the manifest file as an argument to euca-upload-bundle to upload the image to Eucalyptus. Next, we upload the bundle an image, we use "euca-bundle-image"
Once these basic steps are done, the rest remains the same. 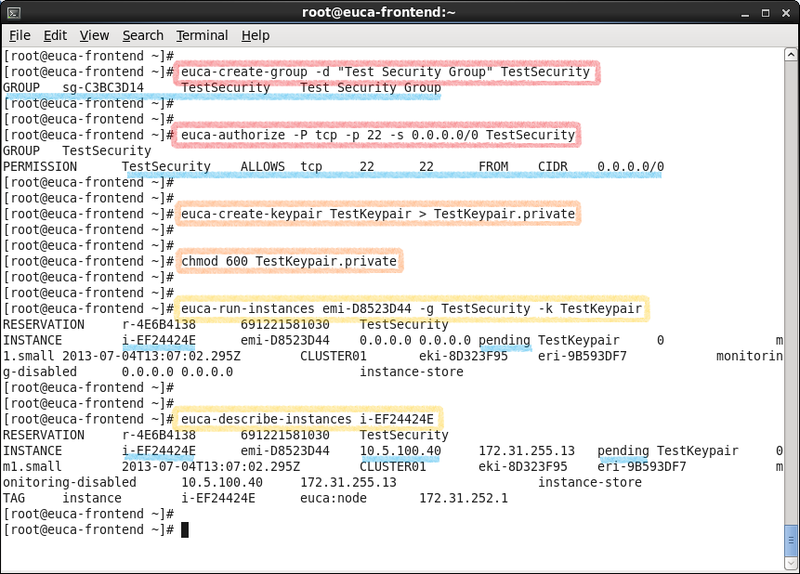 Create a Security Group and a Key Pair for accessing your Instance. Make sure you open up port 22 (SSH) for accessing your Instance. Provide necessary permission (chmod 600) to your Key Pair file. Once set, Launch your instance associated with the Security Group and the Key Pair. 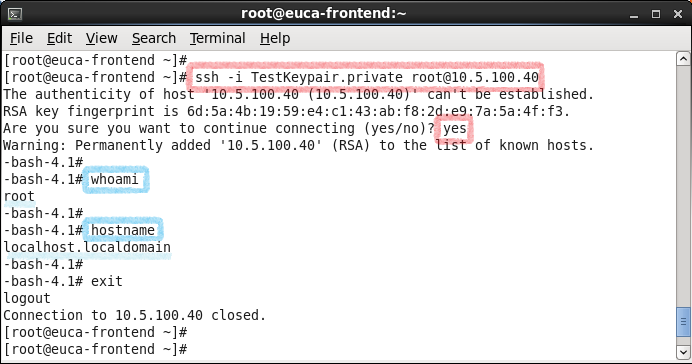 Log in to your instance using ssh and the Key Pair that you used to associate the instance with. That's all there is to it !! Stay tuned for the next and most interesting part of Eucalyptus 3.3 coming up next !! The Autoscaling functionality ! !